I slept for a longer period than I have for ages last night. When I woke up at 0215hrs I was aware of flashing lights coming through the window and investigated – up the hill I could see many emergency vehicle lights flashing, at least six I estimated. I tried to nod off again but gave up returning to my slumber at 0310hrs and the lights were still visible on the hill. I popped (limped) down and got the camera (and Daktacort cream) and tried to photo them (The emergency vehicles not the Dakacort cream like). But the window was too dirty, the incident too far away, the lights too small and those photo’s I took were like modern art – I could see nothing in them! I checked out the ‘Inch’; only tiny specks of blood and the stinging seemed less this morning. But then again, I did not wake up with him in his usual excited state. 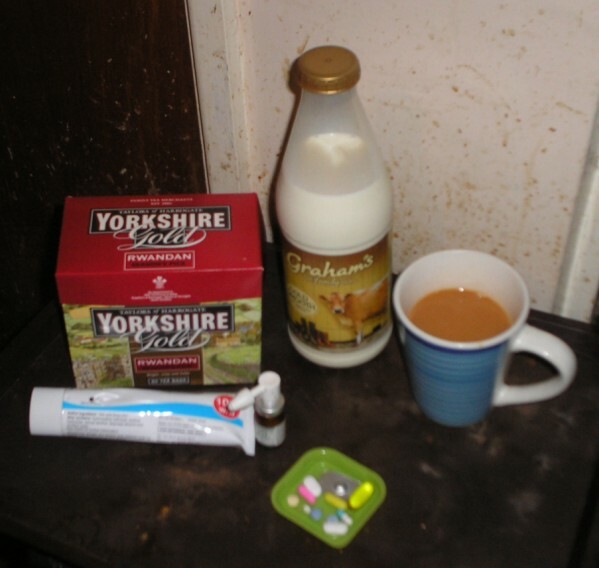 0340hrs: Down and laptop started, made a cup of best Yorkshire tea and Jersey full cream milk and took medications about 0410hrs. A little early but I thought best do it now so I don’t forget later. Started this diary in an effort to get Britain’s youngsters to read it, and inform them of what can happen to one when they get older and decline slowly into oblivion. Good that, I might use it later on the web methinks. Hehe! I felt more cold, tired and weak as the day went on. Didn’t go anywhere at all, saw no one and only spent my time on the web or preparing posts. Not a good day health-wise methinks. Bit of dizziness this morning, so I took it steady. Despite the sleep I’d had, I still felt a tad weak and tired. 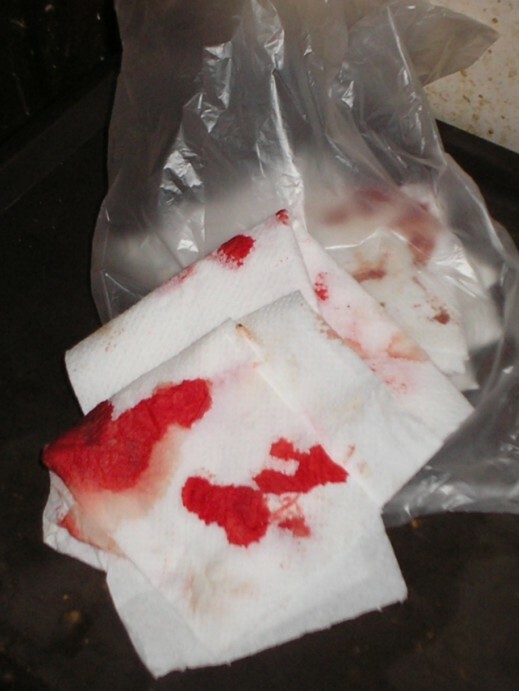 The Haemorrhoids were bleeding as well, quite a bit. I was a mite concerned that today was not going to be a good one when the out of the blue depression came over me. I hate feeling sorry for myself. There are so many others in much worse situations than I. I thought I’d wrap up well and try to get out later for a walk and get some camera use in, to try and shake missen up. Core blimey, I’m sneezing away like a good un here now. Made a cuppa with the Jersey full cream milk and took me morning medications. It seems to be getting colder now… might have to think again about going out? Mmm. Doing some prep work for me posts on Inchcock and LOMM and got the wet warm feeling in little Inchy. Went up with the last of the Dakacort cream to investigate. Took me ages to stop it bleeding, got a mild panic you know. I thought to the hospital perhaps I should go? 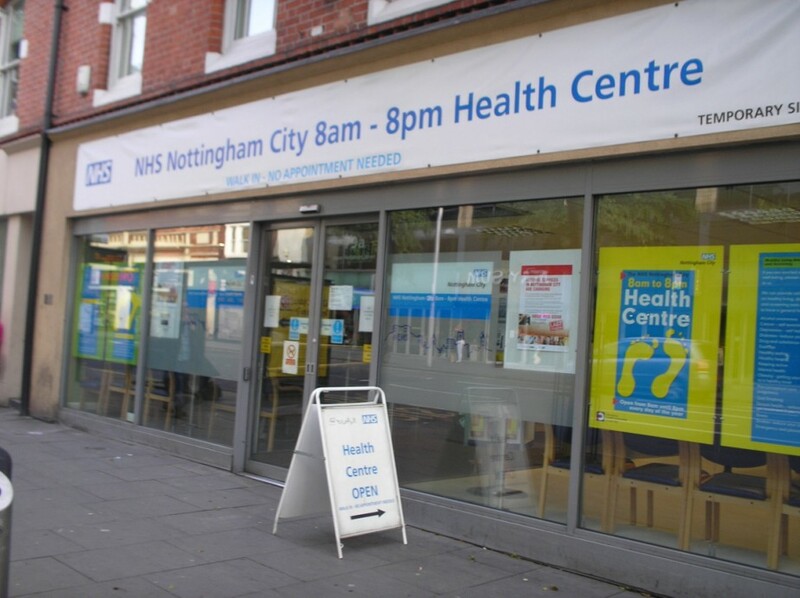 To the NHS drop in centre on me walk I’ll go. So I got missen ready and poddled/walked into town. 1315hrs: Got to the centre and explained me situation to the gal on reception, and she said take a seat it won’t be long before your seen. 1500hrs: Got called to see a nurse. Again explained everything and he said to go to the G.U.M. clinic in the morning to have it checked out again. 1535hrs: Left the centre and had a walk through the city centre. 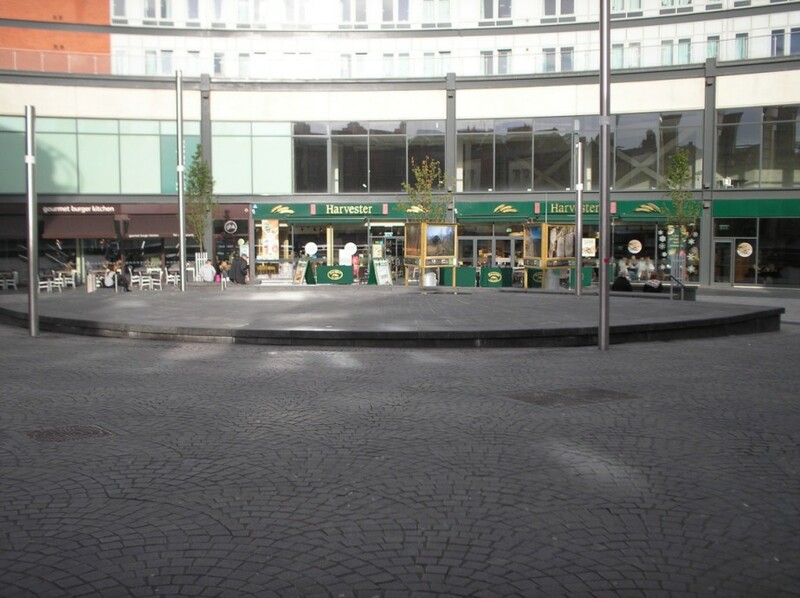 I noticed the Trinity Square multi-million pound food court was busy again? 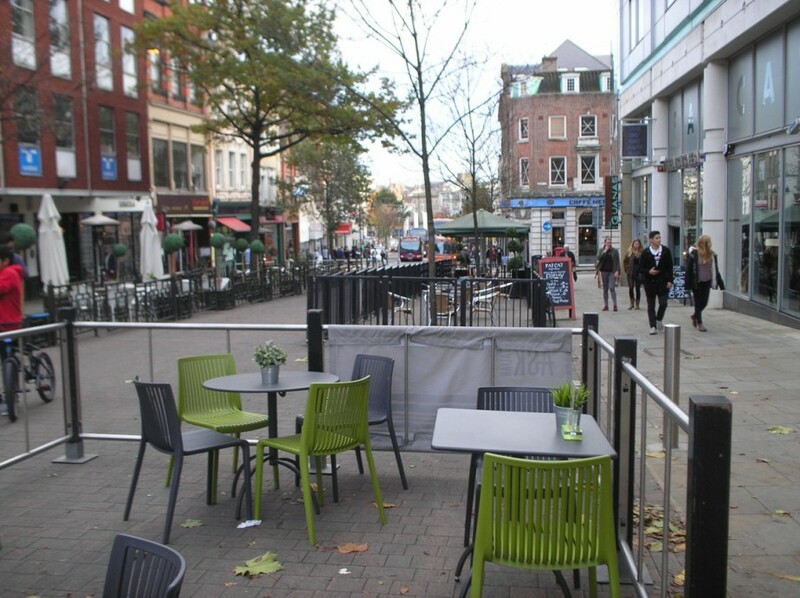 And the new outdoor double row of very expensive restaurants was also doing a roaring trade. Well tired I made me way to the bus-stop – having another dizzy spell on the way. I caught a bus back to the dump and just faded, did nothing but get summat to eat and me head down.